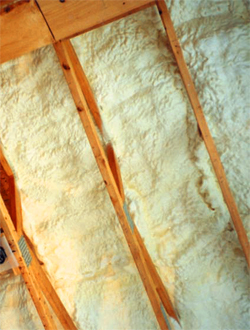 For a professional commercial insulation contractor serving the Greenville, South Carolina, area that understands the importance of a job done well, turn to Arango Insulation. Specializing in providing top-notch craftsmanship and fast turn-around times, we have the knowledge and skills necessary to ensure your project is completed properly and on schedule. Our installation teams are highly trained, and each is supervised by an experienced construction manager who makes sure that all work proceeds exactly according to your specifications and meets your project deadline. In addition, depending on the time you contact us, we are often able to be on the jobsite the very next day. However, incredible craftsmanship and fast service are not the only advantages of choosing Arango Insulation as the insulation contractor for your Greenville, SC, commercial construction project. We also offer exceptional products from some of the most trusted brands in the industry – companies with a reputation for manufacturing reliable, long-lasting insulation. These products are available in a wide variety of materials, including spray foam, foam board, blown-in, radiant barrier, loose-fill cellulose, fiberglass batts and rolls, and more. For more information on the benefits of hiring Arango Insulation as the insulation contractor for your commercial construction project in Greenville or any other nearby community in SC, please contact us today.